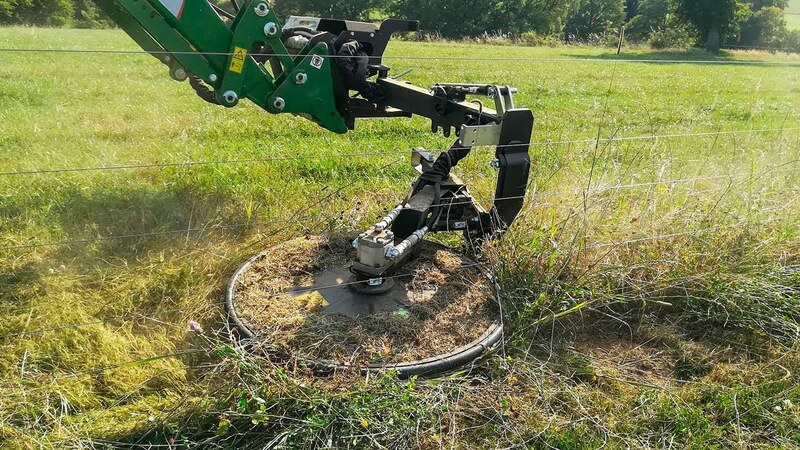 The Ri 60 and 80 is the perfect tool to cut under fence wires, horse pen fence, crash barriers or to cut close around trees in orchards or the like. Below the spring-suspended free-hanging plate are two strong up-draft blades that mow the grass. The blades are guarded by an anti-scalp disc that prevents the blades to mow into the ground. 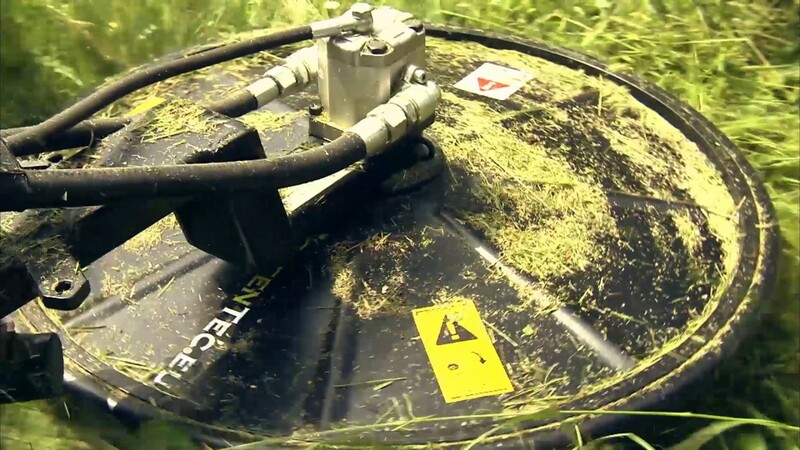 The spring-suspension on the Ø 60 or 80 cm large barrier mower can be continuously adjusted, which allow the machine to mow around, even thin fence poles without them tipping over.